Another great news from one of the world’s largest and most popular online casino software developer. Microgaming has announced release of the new game titled ‘Secret Santa’ not so long ago and now they give lots of details on it. So let us take a look what this festive-themed online slot will be about. Secret Santa is going to be a 5×4 reel slot with a thousand and twenty four ways to win. Over a thousand! And we of course expected the game to have great graphics, but what we got is still more. The slot is hand-painted and it looks extremely charming, especially when the picture is accompanied by the carefully chosen sound effects the game has. When playing it you get the feeling of the holidays approaching with all the miracles and presents it brings. And in fact Secret Santa has so many ways to win that the players may receive their thousands worth presents sooner than they expected this year. One of the most exciting features of the game is the bonus game that the players can trigger randomly. 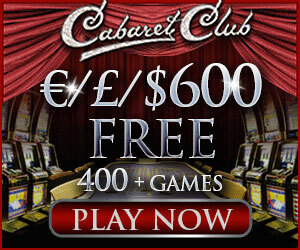 Those who get lucky to start it will be most likely rewarded with wild boosts, free spins, mystery multipliers, wild reels, rolling reels or the Microgaming unique dashing wilds and scatter sprees. Secret Santa is all about giving and the players are unlikely to leave the game without a handful of presents. Especially if we remember that the bonus game gets triggered on average every 5 to 7 minutes. Being a leader in innovations Microgaming has something to surprise the players this time as well. Secret Santa will have the brand new ‘five of a kind’ feature added. The point is that when a player five of a kind he will see the reels re-spin to deliver another five of a kind win after the payout. The head of Casino at Microgaming company said that Secret Santa has all it takes to become the best game for the festive season. Because in it the impeccably illustrated through hand-painted drawings traditional theme is combined with the perfect soundtrack. This combination creates just the mood for the great holidays. At the same time they coupled the nostalgic design with a powerful maths engine to make sure the players get fast-paced gameplay and frequent rewards. So we are looking forward to Secret Santa coming live and available on the Flash, download and Quickfire platforms on December the 2nd!